Miracle essential oils company recently launched its product suite of 18 single essential oils, 11 oil blends, a few starter kits, one essential oil diffuser and one accessory to-date: an essential oil spray bottle. In this review, you will find information about all of this brand’s offerings, including quality control, testing and customer service reviews. Miracle Essential Oils (“MEO”) is an essential company that launched in approximately January of 2015. Compared to industry-veterans like Starwest Botanicals (1975), Mountain Rose Herbs (1987) or Young Living (1993), this is quite a new and young company. However, they do demonstrate a thorough understanding of the ancient traditional uses of essential oils. They acknowledge the uplifting emotional and spiritually properties of oils, as well as their cosmetic uses and functions for the needs of today’s modern health & beauty industry. Being at the forefront of bringing these ancient traditions to modern users, Miracle essential oils is a help for anyone on a quest for better wellness and well-feeling. 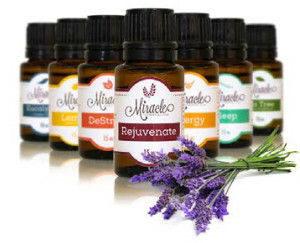 The Miracle essential oils company mission is to “take you on a journey to help soothe, balance, or enliven the mind”. The company has grown from a one-man operation to a team of experts with well over one hundred years of experience combined in the industries of perfumery, health and wellness, botany, and chemistry. The team of experts is supplemented by over 30 global farming partners, also called global gardens, who are in constant communication to ensure product quality. PLEASE READ. IMPORTANT! Over the past few months, I have personally received numerous customer inquiries and complaints about an essential oil company charging them monthly fees in the range of $39-$49 USD, and the customers weren’t sure what the fee was for. My guess is that these charges are agreed to somewhere in a small fine print if you order directly on Miracle Essential Oils’ website. I personally cannot speak to this or haven’t experienced this because I always buy everything through Amazon, as I know the Amazon customer service is outstanding, shipping super fast, and returns are easy. So, friends, please be aware, read the fine print, and order your oils on Amazon as you’ll likely not have to agree to any subscription-type purchases, and won’t have to fight possible unwanted monthly charges down the road. Alternately, and if you’re looking to stay within the same price range of essential oils, please consider Eden’s Garden Essential Oils or Plant Therapy Essential Oils. I have not heard of any customer service issues with those companies. 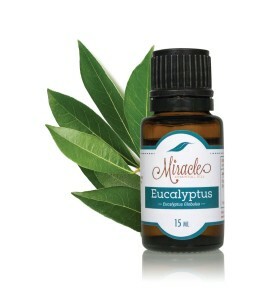 The Eucalyptus oil by Miracle Essential Oils is spoken to enhance positivity. Miracle essential oils currently carries 18 single essential oils: Eucalyptus, Grapefruit, Lavender, Lemon, Lemongrass, Orange, Peppermint and Tea Tree. Tea Tree Oil promotes a healthy immune system. Overall, Miracle Essential Oils offers a very positive line-up that is not overwhelmingly complicated. If you’re looking to feel better, have more energy, and overall add some positivity and uplift to your daily routine, Miracle essential oils has the simple, straight-forward products for you. Also available in MEO are Bergamot, Cedarwood, Cinnamon Bark, Citronella, Frankincense, Geranium, Ginger, Myrrh, Patchouli, and Fractionated Coconut Oil. The real strength of Miracle essential oils comes in when you start looking at their oil blends. Through scientific formulation and adding some artistic flair of their experienced oil specialists, each blend is truly unique and supports a variety of life’s everyday challenges. The strength of a blend is that benefits and properties of multiple essential oils are combined and all the effects layer together to create a very specific and well-rounded sensory experience. Bliss: for joy & happiness & balanced emotions. DeStress: to help melt away tension and worries. Digest: to encourage digestive health and help avoid uncomfortable situations. Energy: for promoting mental alertness and a healthy mood. Exhale: to support tranquility and respiratory health. Focus: to encourage positivity, get to full concentration and improve focus. Immunity: to help revitalize the mind and promote overall wellness and bodily functions. Motivation: to help your body maintain good energy levels and assist in the fight against harmful free radicals. Rejuvenate: inspires the appearance of healthier-looking skin. Sleep: to help soothe muscle tension and occasional anxiety. Slender: to help promote and stimulate the metabolism. Miracle Essential Oils sources from partner farms around the world. Currently, there are 30 farms, each specializing in a different natural ingredient. The farms are all locally-owned in their respective places, have well-maintained fields and soil, and are committed to cultivating with integrity. MEO has an American-based laboratory that uses the latest fractionation and distillation techniques. Maintaining purity is of utmost importance. The uncut oils only touch steel or glass containers once the ingredients arrive in their production facility for steam extraction. No toxic chemicals or synthetic additives are added. Each raw product coming into the lab is examined to ensure purity standards are met from the very beginning. After processing, every essential oil is diligently tested using an industry-standard GC-MS (Gas Chromatography Mass Spectrometry) process before it leaves the lab. This robust quality control procedure includes not just scent, but purity, specific gravity, refractive index, carbon dating (to ensure no synthetics have been added), and many more crucial tests that guarantee the quality of Miracle Essential Oils. Similarly to most other essential oil companies, this just means that Miracle essential oils follows their own internal guidelines as to what “quality” means, to what level it is being tested for, or what would qualify as a “pass”. This shouldn’t deter you though, as it is very common practice in the essential oil marketplace today. Regardless of what a company calls their process of testing or certification – there is no one standard that all oil companies are currently adhering to that would make it easy to cross-compare directly. Can I Ingest And Use Miracle Essential Oils Internally? When shopping for Miracle Essential Oils on Amazon, carefully read the Product Description and Important Information to help you know whether or not this oil is recommended for use internally. 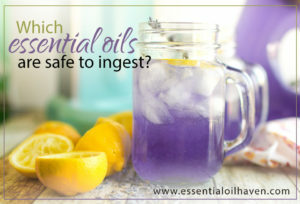 In my research, Miracle Essential Oils, along with Young Living Essential Oils, is one of the few companies that clearly encourages ingestion of essential oils. Other companies, like Eden’s Garden for example, take a slightly less aggressive route and state that it is up to the customer to decide whether or not to consume the essential oils internally. Miracle Oils however, does advertise using some of their essential oils as part of your food or drink. Oils suitable for “eating” are labeled saying “dietary use” or “dietary supplement”. Out of the Top 8 oils listed above, the ones labeled suitable for dietary use, are: Grapefruit, Lavender, Lemon, Lemongrass, Orange, Peppermint and Tea Tree. Please be extremely careful before you decide that a certain oil is safe to take along with your food or in your drink. On Amazon, read each product description carefully and look for the “Important Information – Directions” section under each product detail. 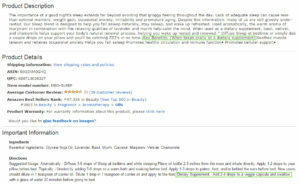 Please refer to the image on the right to show you where exactly on Amazon you find this information. Last but not least, I personally never recommend taking any essential oil internally. Maybe I’m too cautious, and maybe I need to be doing more research on the topic. However, just know that essential oils are a highly concentrated substance and I’m not so sure how our stomachs are made to handle this. I am working on an article on essential oil cautions and will link to it soon (you can also sign up for my newsletter to be updated when this article comes out). Meanwhile, I’m also not a doctor and not here to give you medical advice. I certainly cannot make health-related decisions for you. Please always consult your health care practitioner before taking essential oils internally – you will do so at your own risk. I can definitely recommend these alternative ways to use essential oils instead. While Miracle essential oils is a fairly young company, its customers are raving about their products. 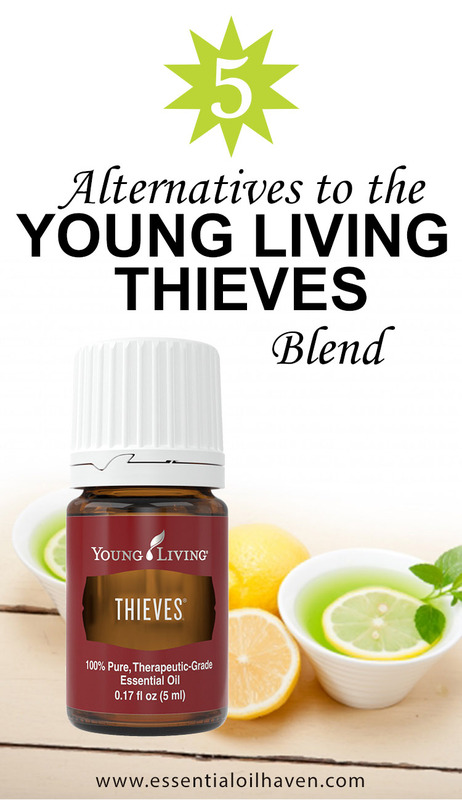 People are excited about the careful packaging, the quality amber glass bottles that the oils come in, and the “party in your nose” type of scents that these essential oils deliver. Miracle Essential Oils features a great line-up of Signature essential oil blends. In today’s market place of essential oil companies, competition, brand awareness and the desire for us consumers to get a high quality product, MEO seems legitimately comparable to any other essential oil brand available today. Miracle essential oils seems to be a legitimate, upcoming essential oils provider. Any holistic wellness seeker can feel good about giving them a try and seeing for themselves. However, the company has had numerous customer service issues and upset consumers that have emailed me directly, complaining about unwanted credit card charges. Just to be clear, I am not in any way affiliated with Miracle Essential Oils company. I write my blog reviews as a way to try and help YOU make your own best decision. That being said, we are of course a community and I do love to hear back and see how everyone’s experience is going. So- please don’t order from MEO through their website. 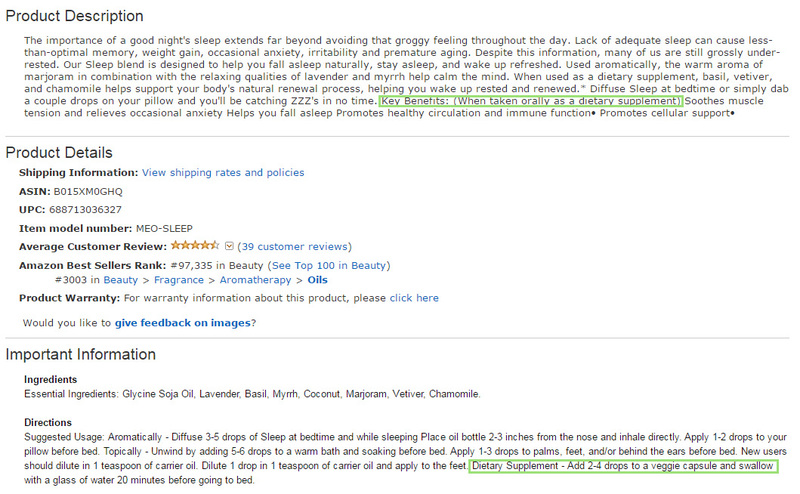 If you’d like to try their oils – go to Amazon. Are prices Canadian or USA. And where do you ship from? Watch out. They will charge you every month, even if you never order more product from them. I recently purchased five [Miracle Essential Oils]. I am just beginning to use essential oil and was under the impression I was going to receive some information on how to use them but I did not get a booklet or anything with my order. I have no idea where to apply and what oils to blend them with for application to the skin or how many drops to use in food. Where can I find this information? Thank you. Same here. They sent my samples, but charge $48 every month but send nothing. I had to close my account to get them to stop. No phone number, no reply to emails. Yes this is a scam. They set up up with one for a buck and discounts on any others. Then they consider you a member? And charge you $39.99 a month to get ?????? Oh yes, your money. Quite a deal….if you want to give your money away. I am having the same issue, have been charged 39.00 a month for 8 months and don’t know how to recoup that 312.00 scam charge, I live on my social security income, that’s all I have, no assets, no nothing, I am 77 years of age, hoping someone can help me out. I’ve been scammed too ! Beware of ordering from Miracle Essential Oils. Maybe customer service was good at an earlier time but very poor service now. I ordered online 07.17.16 and still do not have evidence of products being in shipment mode, but my credit card has been charged since 07.18.16. Phone calls and email inquiries use stall tactics to make you think product in route but proves not the case. I finally got a USPS tracking number that still only shows information is available for a shipment but nothing in route. Order your oils from somewhere else. Buyer beware. Don’t order from this place. They are a scam! I can’t even send them a message now. They have me blocked. Once you order from them the only way you can get away from them is change your card.They will keep taking 39.00 out of your account. Be aware they are SCAMMERS! They keep taking 39.00 out of your bank account and will not give you a refund! They charged me over 50.00 for their simple little kit. I ordered more than this but did not get my complete order.They send me two empty bottles that i did not order. They are rip offs and they are scams! They have been reported! Please help me, I’ve noticed my credit card charged 3 times already how do I contact them and stop this…. 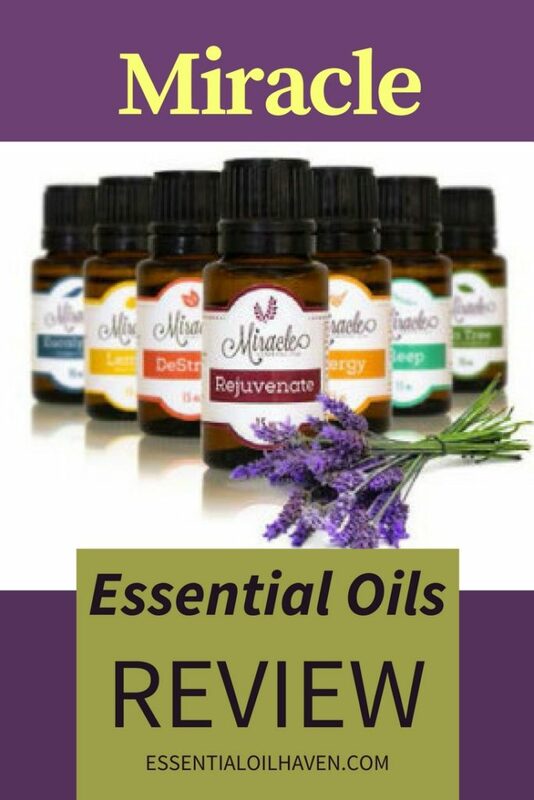 Lesley, get in touch with Miracle Essential Oils here: https://miracleessentialoils.com/contact. They have an email address and 1-800 customer service number. I ordered from this company and love the product. I only got charged what I ordered. Maybe the “off sites ” are scams but not this one. I plan to order again. Not sure if I’ll sign up for membership but the site I purchase from doesn’t give me that option. No member fee. What about Melaleuca Products. It’s a company that sale essential oils. Melaleuca.com. What are your thoughts on this company? Hi Tammy – in short, I do not like companies that are based on membership programs and a pyramid sales commission structures. 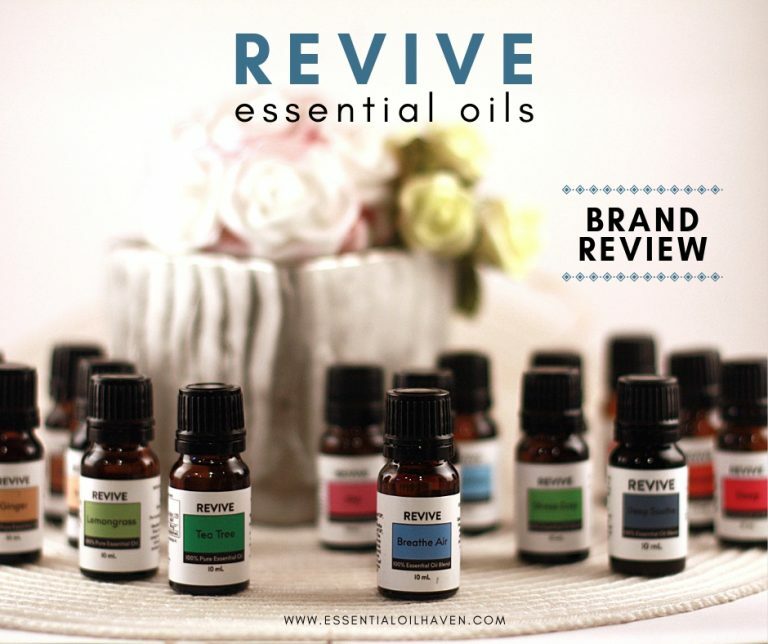 I cannot speak to the quality of their essential oils products as I have not tested them. I prefer to shop with retailers that let you buy from the brand directly, such as Rocky Mountain Essential Oils or Mountain Rose Herbs. Any company that has a pyramid sales commission and membership sign-up structure like Melaleuca and Young Living is bound to have heavily inflated pricing to make sure all the levels of intermediate people-who-referred-people are getting their cut. This company is taking $39.99 out of my bank account every month! I ordered some oil earlier this year and the product is not bad so why must they cheat and steal?! I haven’t ordered anything from them since July but every month like clockwork $39.99 taken. How do I stop this? Do not fall in their trap! Thank you for responding to my concerns so quickly and canceling my membership. I did not realize I had signed up for membership when ordering so will be much more diligent in reading the fine print from now on. Thank you. I didn’t want to be a member I cannot afford 39.99 mo im 71 yrs old live on a budget so I need to cancel. Be aware that if you sign up for one of the Miracle Essential Oils promotions of a bottle of essential oils for $1.00, you may end up paying much more. I opted for the $1.00 bottle and some “specials” for which I qualified by signing up for a $39.00 “membership.” I did the math, and for one order it sounded like on okay deal. I canceled the “membership” within two weeks ($39.00 membership for the privilege of buying essential oils is ridiculous! Get them on Amazon), but the company has continued billing me for 2 more months. Yes, I notified them by email *twice* and finally got an email acknowledging the cancellation 2 days before they billed me again. And the billed me for the next month too. I’m trying to get my money back. When you enroll in the Miracle Worker Program (“Program”), you will receive one month free. After approximately 30 days from the day you sign up for the trial offer, and every 30 days thereafter, your membership in the Program will automatically renew, and the credit card you used to sign up will be charged $39 each month. You may cancel or modify your enrollment in the Program at any time by calling 800.968.7093 or emailing contact@miracleessentialoils.com. When you cancel, you may receive your outstanding commissions by calling 800.968.7093. Apparently when you place an order, they automatically “enroll” you in their program and continue charging your card monthly. The 800 number no longer works as of this morning (2/14/17). I had to call my credit card company and permanently block any further charges from them. But nowhere on my initial order did I agree or sign up for this. SCAM! BEWARE!! They are not taking those phone calls any more. Time to contact a lawyer. I was really upset when my account was charged $85. then $39. So much for the great deal on introductory oils from Miracle Oils! Why can’t companies just be straight forward instead of hiding things in fine print?! “YOURS TO TRY FREE, JUST PAY SHIPPING” and while we’re at it, we’ll take a bundle out of your account! I still do not find where I gave them permission to do that!. Got an email today to continue buying these oils……reminded me that I neglected to follow up on my original order….the order came with a broken bottle of tea tree oil that got all over the basket of the other oils in it.,.,plus I ordered bliss and got eucalyptus instead…..and it ended up being over a hundred dollars….first time special.,,,I don’t know how that happened…..did not agree to that. ?…so….disappointed and no more purchases permitted…. I ordered from Miracle Oils, two different oils, and I received them with no problems. No subscription necessary. It is a trap. You will find reoccurring charges for 39,99 on your card with no shipment of oils. Customer service was extremely rude! The oils may be good but not worth the hassle of dealing with customer service. After going through bank statements for the past two years, I found I have been charged $39 per month without my knowledge. I tried to call the 800 number and they are no longer taking calls. I am about to contact an attorney. Looks like a class action lawsuit may be in order. This is clearly a scam. I never signed up for a monthly program, never read about a monthly program. I have been purchasing from Miracle Essential Oils for the last couple of years & spent HUNDREDS of dollars, but NO MORE! In July 2018, I spent more than $99, which qualified me to receive a free diffuser. I already had a working diffuser, so I didn’t bother to open it to see whether it worked. About 2 weeks ago, I got it out & filled it up with water & oil. Guess what…it didn’t work. So, I sent them an email & they replied almost immediately. “We have a 60 day return policy – sorry!” I continued to email them explaining that I had no reason to open the box to see if a brand new item worked, when I had no use for it as of then. They were uncaring & did not want to hear anything more. I had been subscribed to their email list,(with 3 of my email addresses – not sure why)but made sure to take care of that & get as far away from that company as I possibly can. Do yourself a favor & find a company that backs their products & recognizes good customers when they see them!